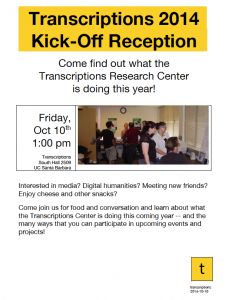 Home › Events › Transcriptions 2014 Kick-Off Reception! Interested in media? Digital humanities? Meeting new friends? Enjoy cheese and other snacks? 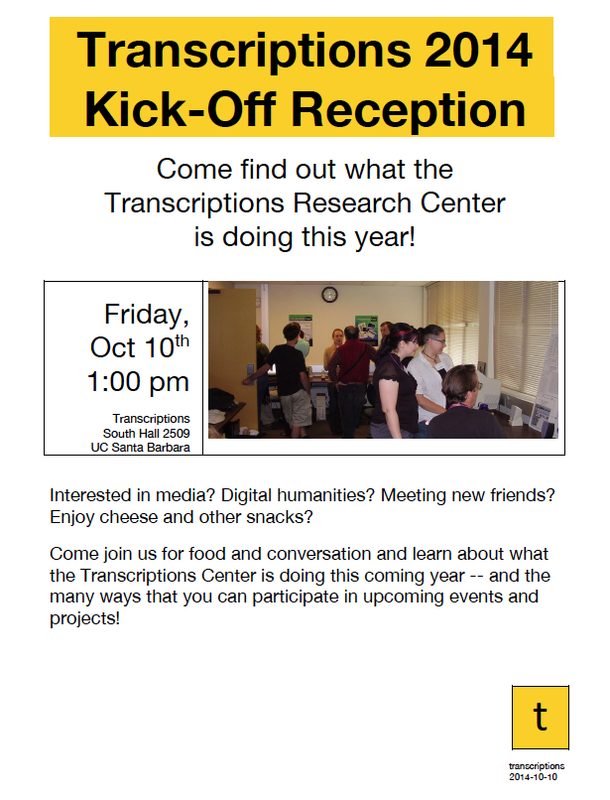 Come join us for food and conversation and learn about what the Transcriptions Center is doing this coming year — and the many ways that you can participate in upcoming events and projects!